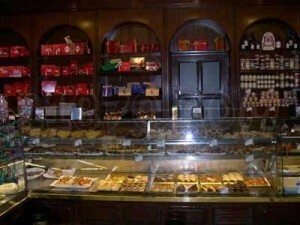 One of my favorite things in Spain are the pastry, candy and sweets shops. I think it has to do with the attention to detail and presentation. 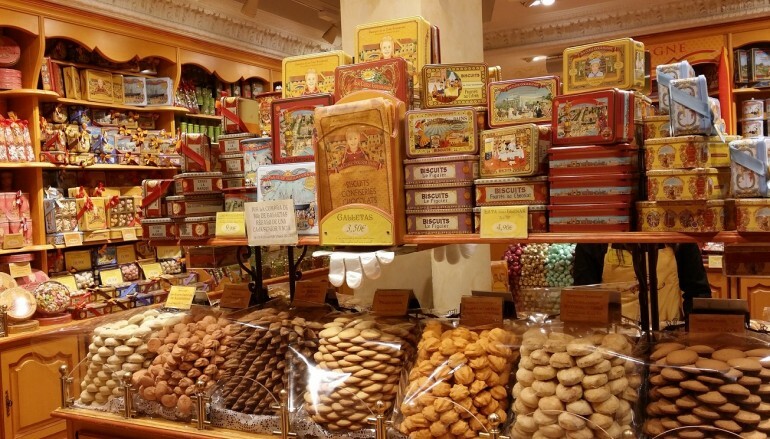 The sweets are both delicate and delicious, and there is almost always a tradition behind them. The Spanish are big pastry and cake lovers, do you blame them. The selection is beyond belief. On one of my morning walks in Sevilla, on Calle Sierpes near the Cathedral, I came across this incredible display of ready-to-go biscuits, pastries and cakes … phenomenal. 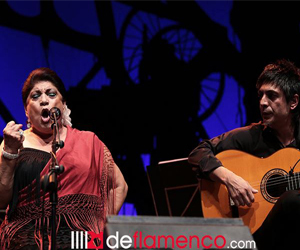 One of my favorites, and one of the most famous, Confiteria La Campana. 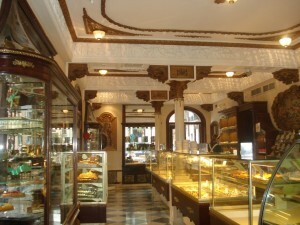 This is one of my personal favorite pastry shops in Seville. 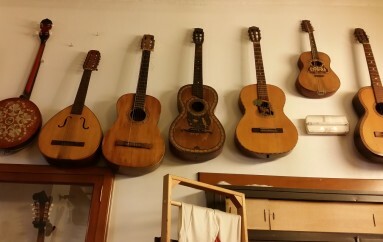 Located in the heart of the city, this is an emblematic shop with delicious cakes. The plaza is great for people watching, and I love the way the inside of the place looks like it hasn’t changed in years with dark wood details and beautiful glass cases showing off all the delicious sweets. You should also note that La Campana makes savory treats, too. If you aren’t sure, ask the people behind the counter…they usually have great suggestions, and quite frankly, you can’t go wrong! 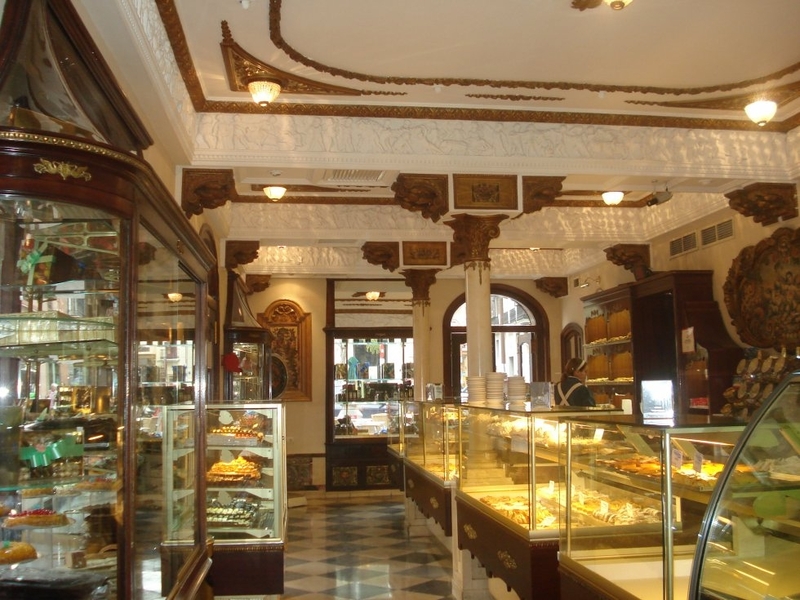 They serve up some of the best pastries in Seville and it is conveniently located near the Cathedral. This pastry shop has been around since the 14th century in one form or another and it is a great place to have breakfast. There is something special about eating the little magdalenas or muffins and unwrapping their distinctive white and blue paper to enjoy the delicious spongy muffin inside. 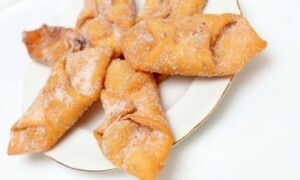 They are also experts in “polvorones” (a typical crumbly cookie) at Christmas time. Here is one of my favorite Pestiños (Sweet fritters) recipes! To flavor the olive oil, in a skillet, heat the 3/4 cup olive oil over high heat. Add the orange zest and fry for about 2 minutes, or until the zest begins to turn golden. Remove from the heat and let cool to room temperature. Strain the oil through a fine-mesh sieve placed over a heatproof bowl, discarding the zest. Stir in the 1 teaspoon sesame seeds and the aniseeds. In a saucepan, combine the butter, lard, 1/3 cup water, and the wine and place over medium-low heat. When the fats have melted, add the cinnamon, salt, and lemon zest and stir well with a wooden spoon. Stir in the flour all at once and then the seasoned oil an immediately remove the pan from the heat. Using the wooden spoon, promptly and vigorously mix the flour with the liquid until the dough is firm and free of all air bubbles. This will take about 5 minutes. Lightly dust a work surface, preferably marble, with flour and transfer the dough to it. Knead briefly until soft and flexible, and then shape into a ball. Cover with a kitchen towel and let rest for about 1 hour. Clean the work surface, dust again with flour, and roll out into a very thin 20-inch square. Cut the dough into 4-inch squares. You will have 25 squares. Working from a corner of each square, roll up the square on the diagonal, crating a cylinder with a 1/2-inch hollow center. To prevent the fritters from unfolding when you fry them, dampen your finger and press the point of the seam to the layer beneath it, sealing it in place. Pour olive oil to a depth of 1 inch into a large skillet and heat over medium-high heat until almost smoking. Working in batches, fry the fritters, turning as needed , for 2 to 3 minutes, or until golden on all sides. Using a slotted spoon, transfer to paper towels to drain. Repeat with the remaining fritters, always reheating the oil until almost smoking before adding the next batch. Meanwhile, in a small, heavy saucepan, heat the honey with the remaining 1/4 cup water over high heat. Boil briefly, stirring constantly, until a thick, syrupy consistency forms. Remove from the heat and let cook slightly. Arrange the warm fritters on a serving plate, and spoon the honey syrup over them. Let the fritters cool completely. Serve at room temperature y distruta!